Kitchens really are the beating heart at the center of most homes and businesses today. They have become a social hub, for catering and entertaining purposes. This means that they will undergo significant wear and tear over the years from constant use of taps, dishwashers and drains. Keeping your kitchen plumbing in good working order is essential, and finding a plumber who specialises in kitchens can make all the difference. 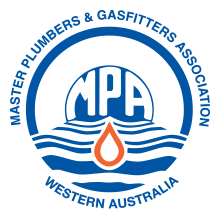 Superior Plumbing has been providing high quality residential and commercial kitchen plumbing and gas fitting services to Perth and its surrounding suburbs for over a decade. 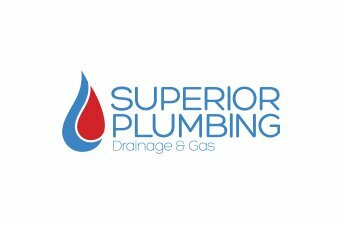 Whether you’ve got kitchen taps that have started leaking, drains that don’t flow as easily as they should or issues with your appliances, Superior Plumbing will be able to help. Because of our comprehensive list of plumbing and gas fitting services, we provide a “one stop shop” for emergencies, repairs and advice. 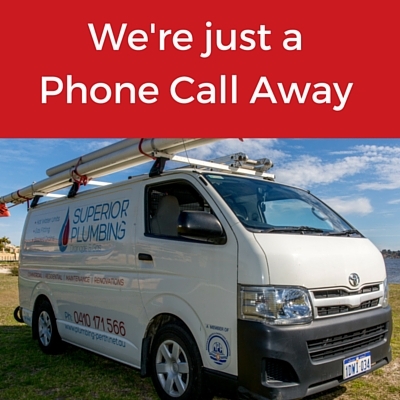 Superior Plumbing also provides one of the most trusted emergency plumbing and gas call out services in Perth. If you have a kitchen emergency such as a suspected gas leak, a pipe has burst or your kitchen drains have become blocked, contact our friendly operators any time of the day or night, 365 days a year (even Christmas and New Year’s Eve). 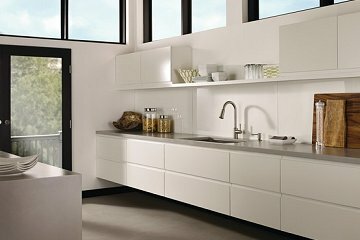 Here are some of the most common cost effective kitchen projects you can do to ensure your kitchen works the way it should, and is up to date with current trends. Replacing old or broken tapware can be the quickest way to “makeover” the look and functionally of a kitchen. It can also save you money on your water bill if the old taps are leaking. While you’re thinking of getting newer taps, it may also be a good time to consider installing an under sink water filter. These can provide drinking water and can be a fantastic option if you’re unhappy with the taste or the chemical makeup of the local mains water. Ever wandered into a home that’s open for inspection and found that the kitchen doesn’t have a dishwasher? It can be completely off putting, but surprisingly many homes – especially ones with older style kitchens – still don’t have one. On the other hand, you may have an old dishwasher that isn’t working as well as it once did. Generally, dishwashers can have a lifespan of up to 10 years, but they can get dirty and the drain can become clogged with material over time. 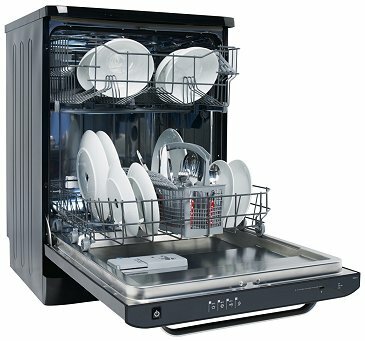 Getting a new energy efficient dishwasher installed can improve the look of your kitchen and add value to your property. Because dishwashers can actually use less water than washing dishes by hand, it can also save you money in the long run. Having a strong and reliable source of hot water in the kitchen is a necessity. It’s only when things go wrong with your existing hot water system in your home or business that you suddenly realize how important it really is. Having your hot water system regularly serviced and maintained is a great way to avoid any interruptions in your hot water. If you find that your water heater seems to be costing you more than it should, it may need to be repaired, or you may even need to consider a cheaper, more efficient gas heating system. Your kitchen is a hive of activity, and there is a certain amount of normal wear and tear that they experience. Unsurprisingly, plumbing and gas issues can occur regularly, thanks to the sheer variety of different appliances and systems that we make use of in the kitchen. The sink: this can involve leaking, loose, seized up or dripping taps, blocked or clogged drains, unusual smells coming from the drain, or a water problem – too little or too much hot water, or no water at all. Appliances: dishwashers can often break down and need repair, especially if the drainage pipes become blocked, or there is an issue with water supply. Gas cooktops and ovens can also have a multitude of problems such as gas flow or even gas leaks. Drains: blocked drains are the number one culprit for plumbing problems. Severely clogged drains can cause dangerous backflow issues, and if they are not cleared successfully, can themselves be damaged over time. In many cases, professional plumbers are called out to jobs where people have tried to fix some of these problems on their own, and managed to cause an even bigger issue. Don’t take chances with your kitchen – get the job done right by qualified and experienced plumbers. We often put a lot of effort into decorating our living rooms or bedrooms, but may put off updating or renovating a kitchen because it might seem like an expensive exercise. This can be a false economy, however, because kitchen plumbing and gas fittings that are old or worn out can often cause damage to surrounding areas, and lead to more expensive repairs down the track. Getting your kitchen in good working order can affect not only your quality of living, but can affect your back pocket and your property’s value. For example, dripping taps or a leaking pipes can hit your back pocket when you get a larger water bill than you expected. Not to mention the cost of replacing them if the leak turns into major crack and the whole pipe needs to be replaced. For complete peace of mind, Superior Plumbing offers a 100% money back guarantee on their services. If we haven’t exceeded your expectations then we’re not happy, and we’ll happily refund your money. Our highly trained servicemen take pride in everything they do, and the thousands of happy customers we have helped in Perth in the last 10 years is testament to our high levels of dedication and workmanship. Our emergency call out service is available whenever you need it – whether it’s 2pm on a Saturday or 4am on Easter Friday – and we will not charge you any extra call out fees. We’ll also turn up to your job on time, with fully equipped vehicles and generally be able to fix most emergencies on the spot. Contact Superior Plumbing today and find out how we can help you!